Joan Moiles joined the Grant Consulting Group in 2012 as a consulting affiliate with 25 years experience in the regulatory field. She was as a Deputy Insurance Commissioner in the State of Michigan for 11 years. As Deputy Commissioner at the Office of Financial and Insurance Regulation (OFIR) she was part of the experienced leadership team whose mission is to grow Michigan by creating a strong regulatory environment that promotes consumer protection and ensures the financial services industry is safe, sound and entitled to public trust. In that capacity she had responsibility for policy and enforcement for the Life and Health industry, domestic, foreign and alien. 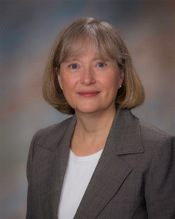 Regulation of group health , MEWA’s, Medicare Supplementary policies and the Act (PA 350) that regulates Blue Cross and Blue Shield of Michigan (BCBSM) all fell under Joan’s responsibilities at the Department. Joan was part of several legislative initiatives that brought comprehensive updates to the Insurance Code that benefit consumers She brings to this position vast knowledge and experience in the financial services industry with particular focus on the operation and regulation of life and health insurance companies. Joan is a life-long Michigan resident, and currently lives in Holt, Michigan.